Beloved husband, father, friend and partner. You will be greatly missed. Duane W. Jordison was born May 20, 1947, to Elbert and Marie (Michelson) Jordison in Fort Dodge, IA. He grew up in the Burnside, IA, area and graduated from Central Webster High School in Burnside, IA. Duane was united in marriage to his high school sweetheart Shirley Conklin in 1966. Together they were blessed with three children, Brian, Erica, and Matt. Duane and Shirley lived in Ames, IA, while Duane attended Iowa State University. Upon graduation from Veterinary School, they moved to Fairmont, MN, where Duane joined the Fairmont Veterinary Clinic. Duane practiced in the Swea City, IA, area where he made friends with many clients and their families. He had a passion for animals and worked hard for finding solutions to the many problem’s producers face raising livestock. Duane took pride in his job and enjoyed sharing the in’s and out’s working as a veterinarian often taking his sons, grandchildren, nephews, and students along on calls. In his spare time, Duane volunteered as an AWANA leader at Bethel Evangelical Free Church, where he helped boys learn bible verses and encouraged them in their Christian walk. Duane also had the opportunity to visit his sponsor children in Haiti and help build Safe T Homes. Duane loved his Lord, his family, his work, and sun-filled days at the golf course. Duane will be greatly missed by his loving family: wife of 52 years, Shirley Jordison; son, Brian Jordison and his wife, Lori and their son, William; son, Matt Jordison and his wife, Lori and their children, Colin and Abby; sister, Joan Mickelson and her husband, Charles; sisters-in-law and brothers-in-law, Sherill Estlund, Dale Conklin and his wife, Pat, and Janet Peterson; as well as many nieces, nephews, extended family and friends. Duane was preceded in death by a daughter, Erica; parents, Elbert and Marie Jordison; father-in-law and mother-in-law, William O. and Ruth Conklin; and brothers-in-law, Larry Estlund and Eddie Peterson. The family requests memorials be left in Duane’s name to GoServ Global, 310 E. Broadway St., Eagle Grove, IA 50533 and United Hands Hospice, UHD, P.O. Box 160, Blue Earth, MN, 56013. Our Intellectual Property will assist you in gaining profits for your animal property. 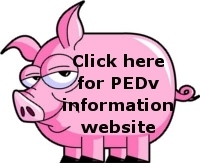 PERSONNEL TRANSMISSION OF PEDv-What Biosecurity Interventions Work?